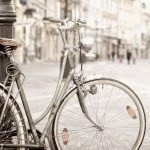 The following blogs are proud participants in Stashbusting September! Link your blog (the main page please not an individual post) to the linky below. The linky will be open until September 4th at Midnight. Try to make at least one upcycled craft item this month. Upcycled craft items from Stashbusting September can be entered into the Stashbusting contest for a rocking prize from our top secret for now, sponsor. 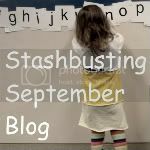 Proudly post the Stashbusting September button on their website so everyone knows they are busting some stash. Check back here to find out other blogs that are busting some stash. During Stashbusting September we will still have the "Upcycled Awesome" linky party. I just love all of the inspiration. To be entered in the Stashbusting September contest (the link will be up September 1st) you must link your project up to the Stashbusting September link. Now go bust some stash!